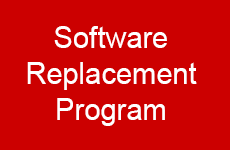 If you have an old thermal simulation software, your time based license is expired or you just have a software plugin within a mechanical CAD system, you might be interested in replacing this existing software. 6SigmaET is programmed on a modern software architecture and was specially made for exploring thermal issues on electronic applications. There are many reasons for changing to 6SigmaET. If you are interested in a trial or you want to benchmark the accuracy or performance, please do not hesitate to contact us. We will help you to run a benchmark against your existing solution.